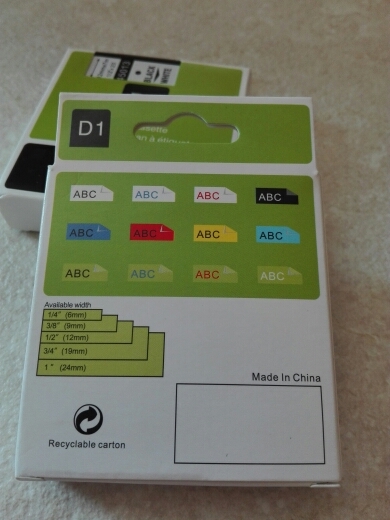 Perfect quality and very fast shipping! Thank you! recommend. all ok. delivery time for Polish 40 days. распечатывает perfectly. glued also good. great replacement for the original. Very nice! Fits great and works like a original one. thank you! until the next order! Shipping took 3 weeks. 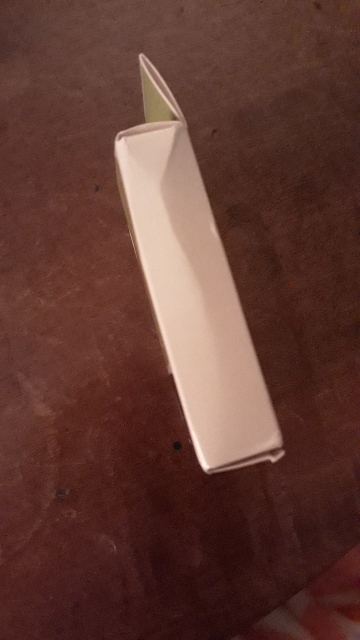 The box was a little dented but the cassette was in tact. I have not tried it yet. Good product, someone said glue not as good as original but i think it’s very good. 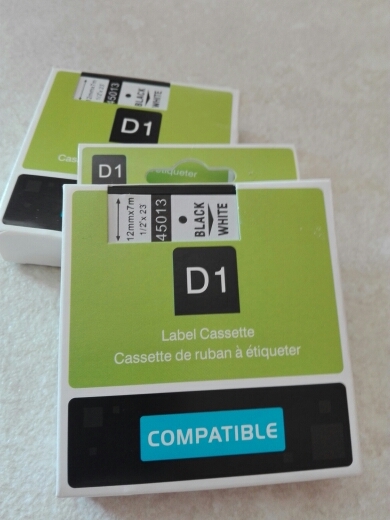 Should be compatible but my labelwriter doesn’t recognize the tape as inserted. 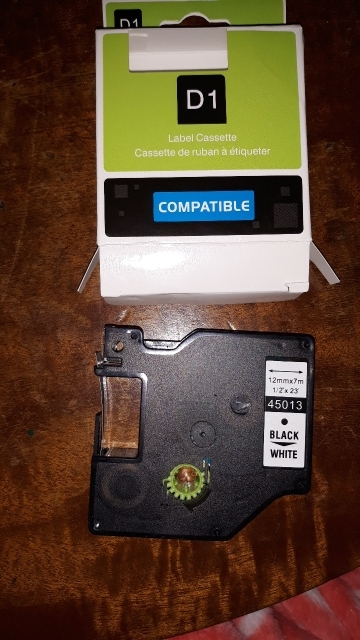 So it fits description, but is not compatible with mine..
Quality looks good. The same as original but with a better price! Thank you. 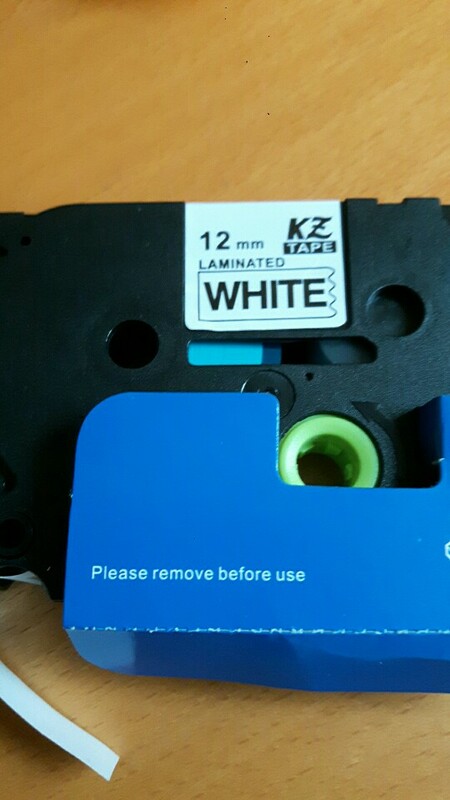 no white tape! no work! 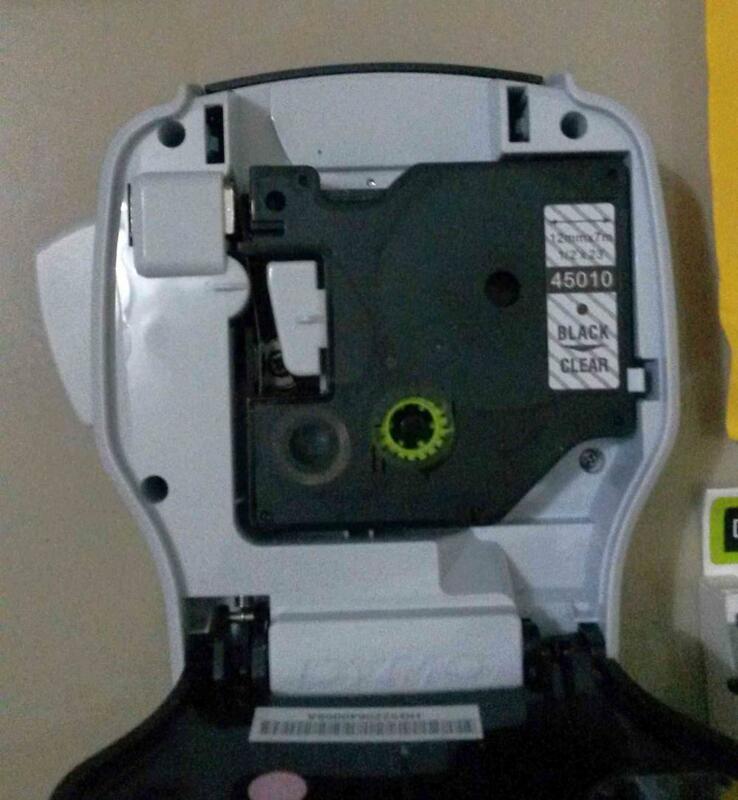 Tape works fine with my Dymo LabelManager 360D. I checked out two tapes of 6 bought ones. 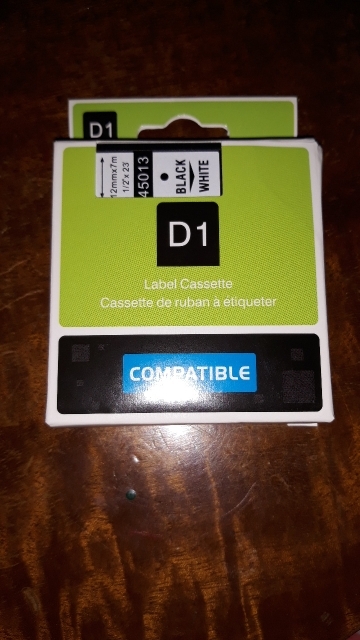 Only difference compared to the original tape I noticed was that black tape doesn’t go in to the cassette but comes out with the white tape. It doesn’t matter – only a little bit more messy. 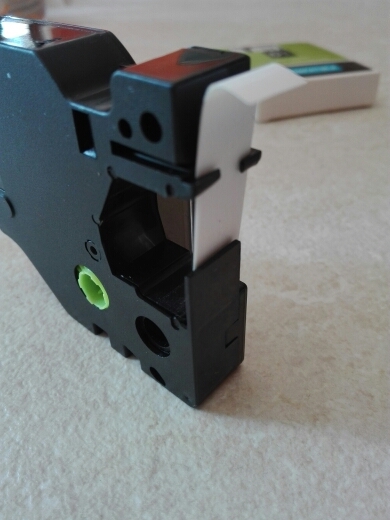 With the prise 2,44 eur per 12mm/7m black/white tape is very low compared to the original Dymo tape. I highly recommend! 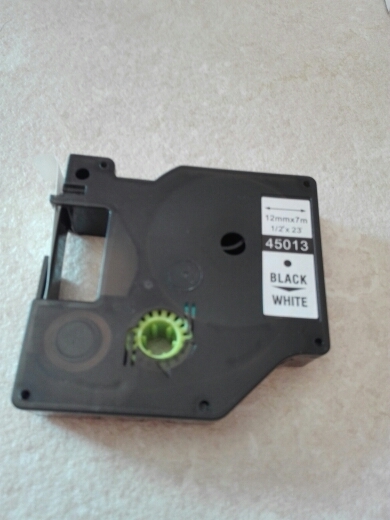 Tape works fine with my Dymo LabelManager 360D. I checked out two tapes of 6 bought ones. 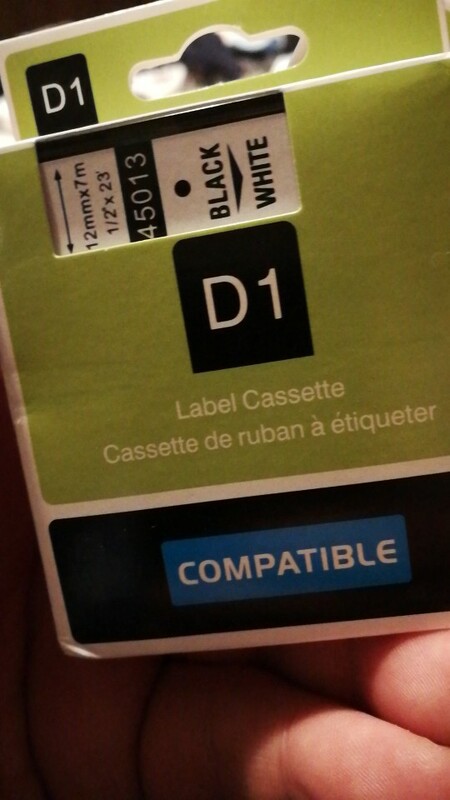 Only difference compared to the original tape I noticed was that black tape doesn’t go in to the cassette but comes out with the white tape. It doesn’t matter – only a little bit more messy. 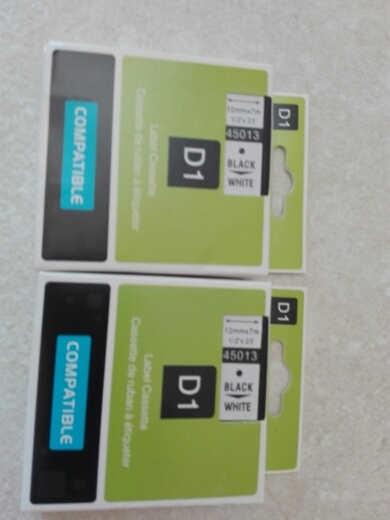 With the prise 2,44 eur per 12mm/7m black/white tape is very low compared to the original Dymo tape. I highly recommend! 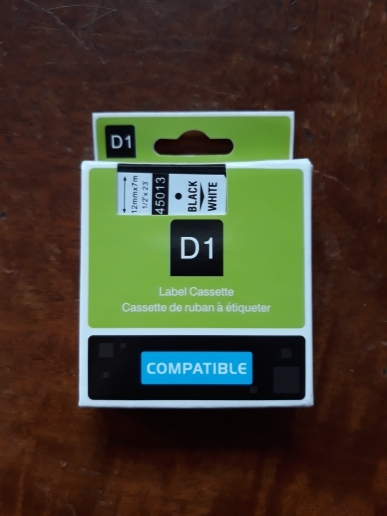 I don’t understand why I could order only 2 cassettes by one order – I got all the cassettes in the same package anyway – and quick! In only 14 days! the product is maybe a little as bright as original but works perfectly. received product description and a line. Quality is very good! I am satisfied. great product, arrived in perfect condition! 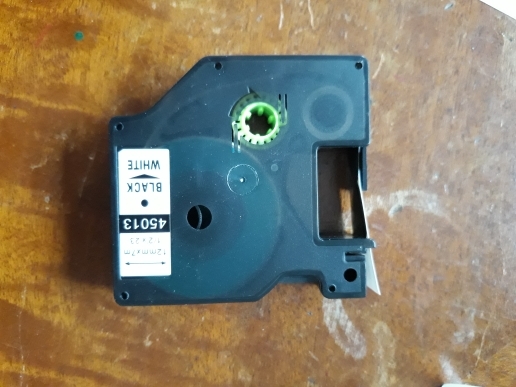 Got a replacement product, it work properly, fit well. 2 weeks to Finland, works perfectly! Good product for a great price!!! 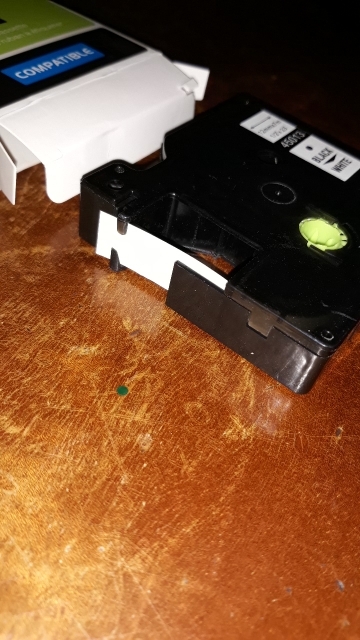 Tape works great with Dymo. Prints fine, getting too good, great replacement for the original!!! 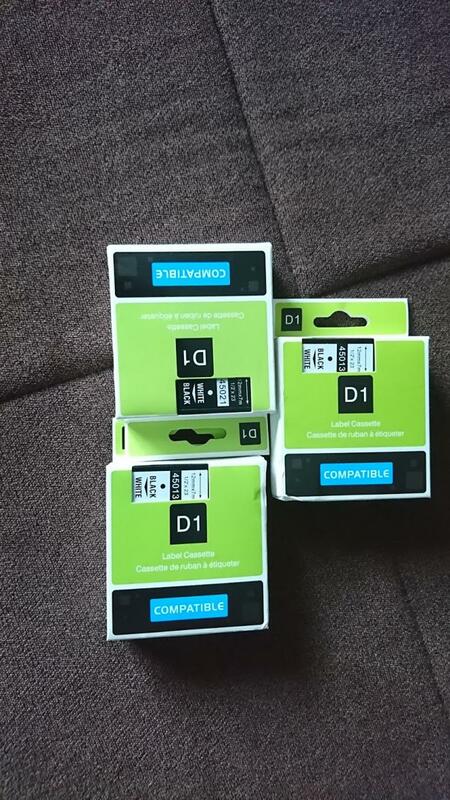 Cartridges received, all together, it quickly. Will test’ll write. 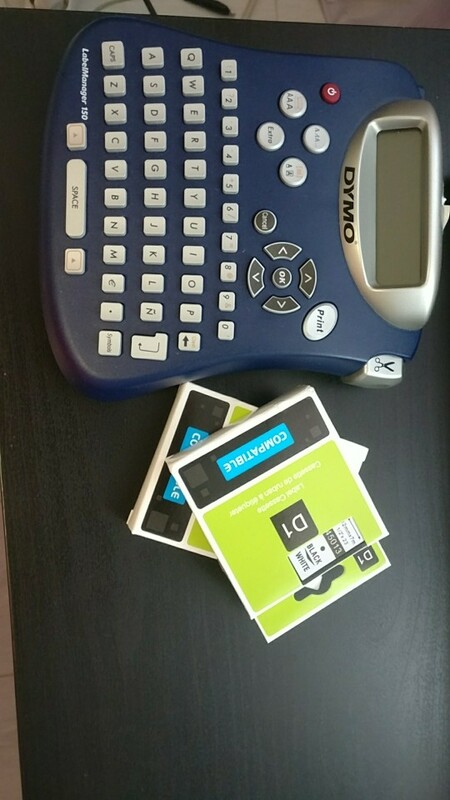 Description match the product received. 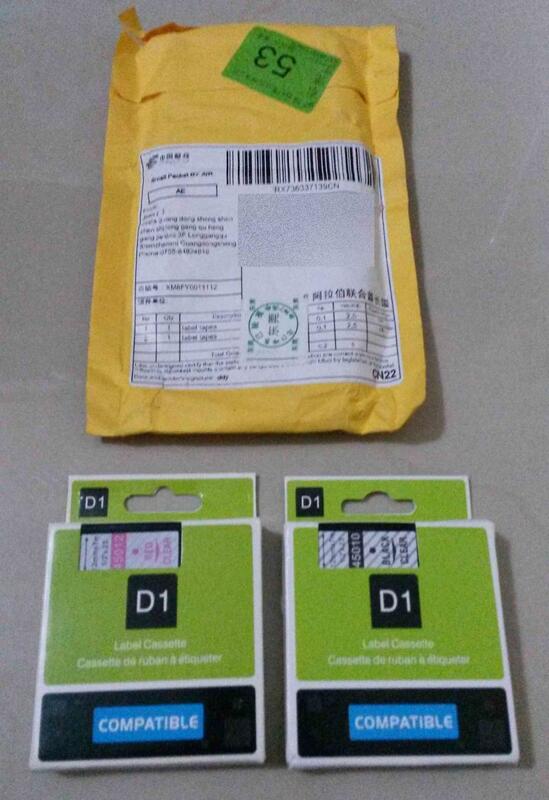 Totally different product received than ordered. 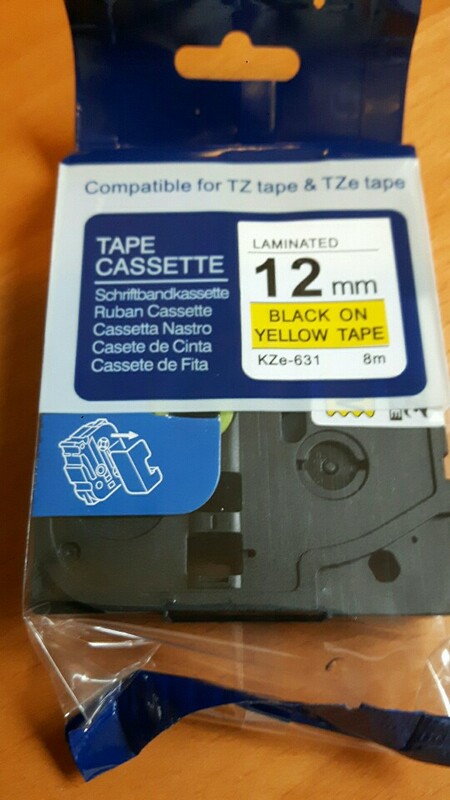 Had 2 D1 cassettes ordered and do TZ and Tze received. Quick action and good quality, I recommend. 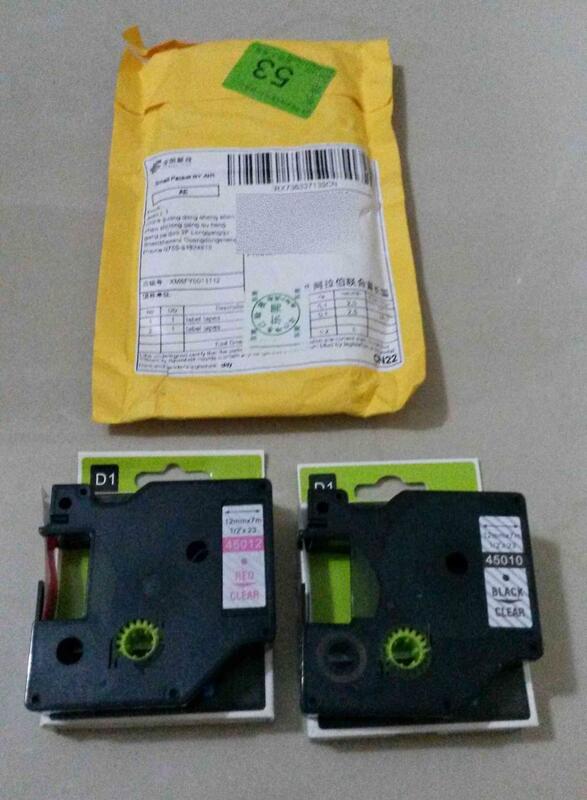 Compliments great product seller affidabiulissimo fast shipment! Excellent arrived in rapidissimi times!! Seller courteous and reliable highly recommended! Congratulations!!! These work really well, better than originals. 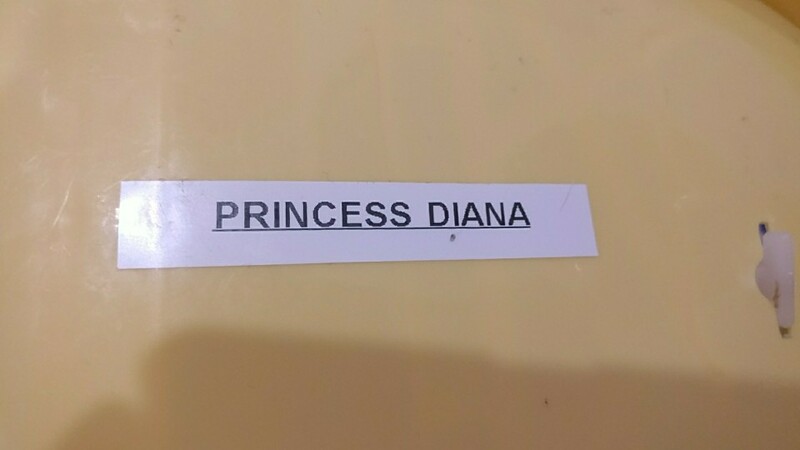 Many thanks to the seller! As described. Delivered to the US in approximately 40 days.